Figured out the issue I was having with the Kew connectors: basically not pushing it together hard enough. 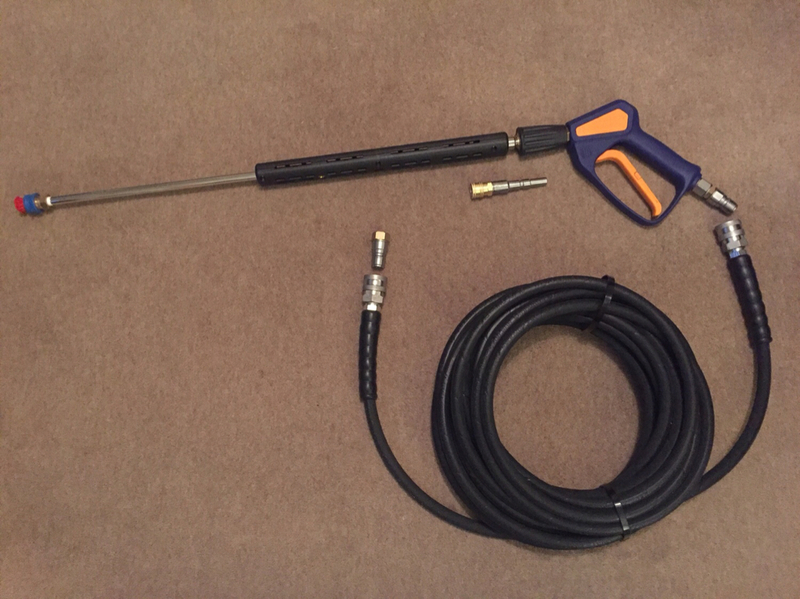 Here is a photo of my set up, my main intention was to make it as quick and easy to was the car, at my old house I had to get the PW out, hose pipe, extension etc, keep running back and forth to the garage for products etc. 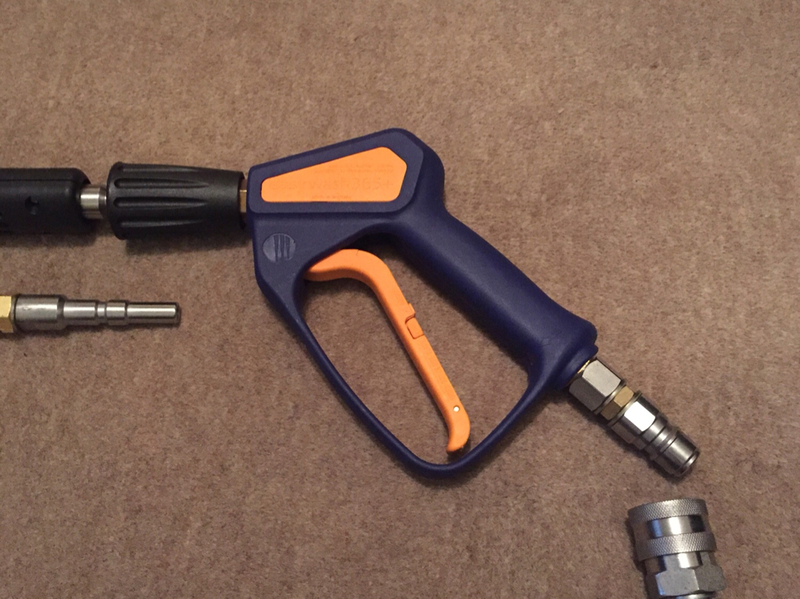 I am happy with the set up including the standard hose, I have had upgraded hoses in the past and imo they aren’t worth the faff, but my question is, is there an upgraded lance that will fit / with adapters, onto my nilfisk hose? Ideally I would like a lance with a wider spray pattern would be better? Last edited by c j h; 12-06-2018 at 09:44 PM. 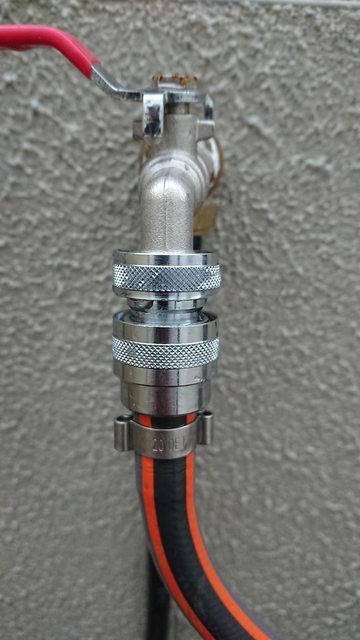 my question is, is there an upgraded lance that will fit / with adapters, onto my nilfisk hose? Ideally I would like a lance with a wider spray pattern would be better? 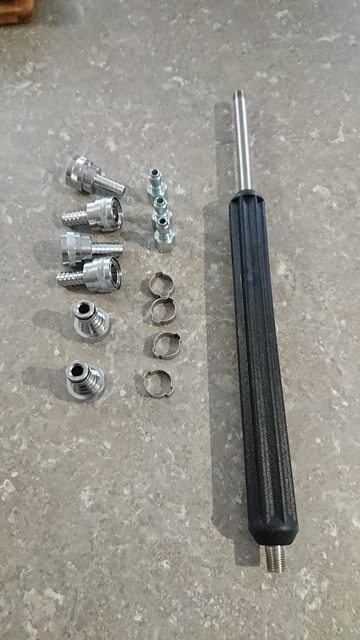 whats the best quick release fitting to go for? That is a great idea for the bottles, haven't seen that and I'm guessing it's just two of the IKEA units joined together? Brilliant, I'll be nicking that idea! It made no difference, do not even think it's a 025, no inscription on the nozzle, these Chinese! After reading through this thread I'm very tempted to get a custom gun and swivel! Is there much difference between getting a normal gun and external swivel or a gun with an internal swivel? Secondly are qwashers still the cheapest place to go to or are malcleanse very similar in price? I think they're both priced pretty similarly, I spent more money with malcleanse because I couldn't get a reply from qwashers, I sent several messages though ebay and a few emails. I think the only real difference between the guns with a built in swivel is that it's neater, adding one after the gun will make the setup a bit bulkier. I've found I use the swivel a lot and it's quite handy to have. I think he's one of those blokes who doesn't like writing. I only got one from two messages answered in the past. He is all over Youtube and he posts his phone number in the videos. Last edited by pump; 24-11-2018 at 05:39 PM.